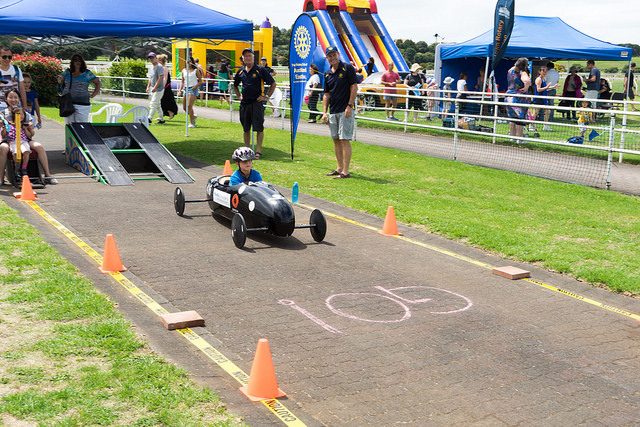 The Pop Up Playground family fun day at Ellerslie Racecourse run by the Rotary clubs of Auckland on Sunday 20 February put a smile on so many faces. The kids and their families had a wonderful time and it was fantastic to see so many turn up. 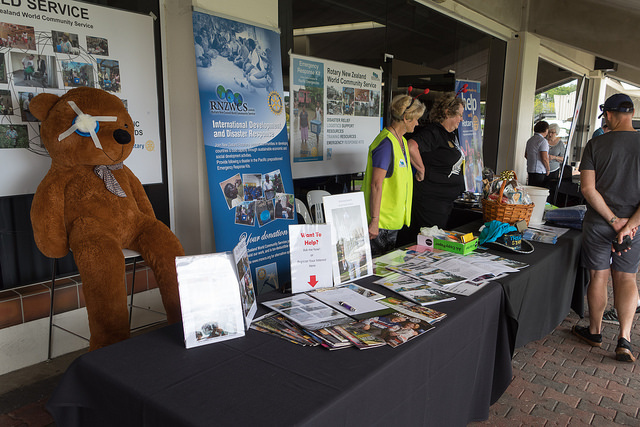 There was a magnificent atmosphere on the day with Rotarians mingling with families who were interested in what Rotary does. Some of the highlights included the Police performing group, Chiefs and Blues rugby players, JP the clown, China dance groups, Tai Chi, Hip Hop, school groups and a Taiwan Aboriginal Dance. There were also farm animals, soap box carts, kite making, volleyball, a sports zone plus inflatable slides and car display. The day was not just to have fun but be the District 9920 opportunity to celebrate the Centennial of The Rotary Foundation in a practical way. Among the crowds there were a couple of hundred Rotarians talking and working together in the spirit of Rotary. We need more events like this! So much was achieved by the magnificent Rotary Showcase and the story it told was appreciated by both the public and Rotarians alike. As a result of this, during the day the “Join Rotary Now” desk received many inquiries that are being followed up and the Community now knows so much more about what Rotary does. The highlight of the afternoon was the address by Barry Holland, President of Polio New Zealand and a Polio victim who released one hundred helium “Stop Polio Now” balloons to recognise our Rotary Foundation Centennial. Across the Districts of New Zealand, and indeed the world, the Centennial of The Rotary Foundation is being celebrated in a wide variety of ways but ultimately a huge THANK YOU goes to all the wonderful people who support the humanitarian work of Rotary.